Now that you’re divorced, are you finally ready to focus on YOU? but you’re not sure how to get there? 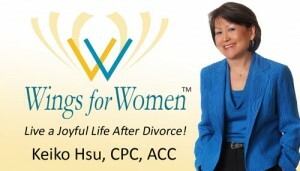 Apply for a complimentary “Life-After-Divorce” Strategy Session! Divorce or separation is a painful transition, but it can be a major milestone and a new beginning for the next chapter of your life. And your next chapter WILL be a brighter future! But it takes clarity, inner courage, and commitment to move forward toward that brighter future. 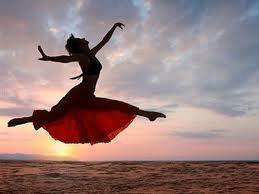 Getting a clear vision for your future is a critical step toward living a joyful life after divorce. You’re ready to move on, but you want more clarity about your goals and dreams. You realize you need to invest in your personal growth to ensure the best possible future for yourself and your family. What is a Life-After-Divorce Strategy Session? It’s a free, one-on-one exploratory consultation by phone with Keiko Hsu, Life-After-Divorce Mentor and Certified Life Coach. The objective is to have a confidential and safe discussion about your post-divorce situation, your desires, and to brainstorm what actions you can take that would have the biggest impact on your quality of life. This call will help you get clarity and inspiration about your hopes and dreams. There is no obligation to purchase our services. Click on the link below to fill out a brief Application Form, which provides us with important information about your divorce and what you hope to get out of this Strategy Session. This form contains only 10 questions and should only take you 10 minutes to fill out and submit. After we receive your Application Form, you will receive an email containing a link showing Keiko Hsu’s availability so that you can schedule your Strategy Session call for a date and time most convenient to you. As a bonus gift, you will receive a free subscription to our monthly Wings for Women® e-Newsletter … with helpful tips on navigating divorce and creating a joyful life after divorce. Give yourself the best gift of all …. A clear vision for your future and your best strategy to get there!